London’s AI startups have raised more cash in the first eight months of 2018 than they did during the whole of 2017, data from Pitchbook has revealed. The report shows that the amount raised by London’s AI startups during January-August this year totaled nearly £327 million compared with almost £229 million during the whole of last year (see the second chart below). London raised more than Paris, Berlin, Tel Aviv, Bangalore and Singapore combined in the eight months between January and August of this year — perhaps not surprising given that the “AI Growth Capital of Europe” report, released during London Tech Week, showed that London had double the number of AI companies of Paris and Berlin combined. Nevertheless, this consolidates London’s status as a globally recognized tech hub and an AI hotspot, alongside Silicon Valley, New York and the Chinese cities of Shanghai and Beijing, which still lead the AI investment rankings. This doesn’t mean there won’t be significant investments elsewhere, of course. As Reuters reported last week, Germany, in an effort to close the gap on the UK and other tech hubs, plans to invest €3 billion (£2.6 billion) into AI during between now and 2025, as well as appointing 100 lecturers and professors to the country’s universities. Germany’s capital Berlin is seen by some as Europe’s second tech hub, but it lags significantly behind London in the AI space. It will therefore hope that this new investment, along with the UK’s planned exit from the European Union next year, can help it catch up. This entry was posted in Uncategorized and tagged AI, Artificial Inteligence on November 29, 2018 by Tim Cosgrove. 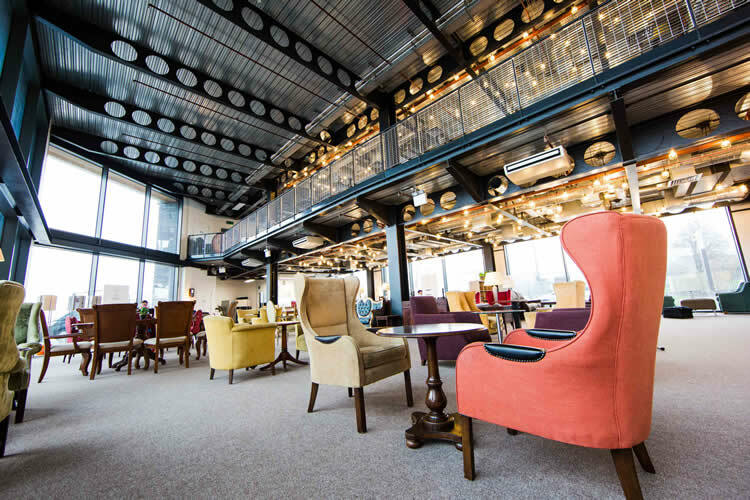 Vodafone is launching a new Innovation Hub at The Landing (shown above) in MediaCityUK, Salford. The Landing already offers workspace for companies and has developed a reputation for fostering high-tech and digital businesses. Vodafone’s new hub will give entrepreneurs and start-ups access to the latest tech resources, such as 5G, Internet of Things (IoT), high-speed fibre and more. Vodafone says it is opening the Innovation Hub as part of its commitment to Greater Manchester as one of the UK’s seven ‘gigabit cities’. Last year, Vodafone struck a deal along with wholesale fibre network infrastructure provider City Fibre to deliver superfast Gigabit broadband to 12 cities in the UK by 2025, benefiting up to five million UK homes and businesses. Under the agreement, Vodafone has a period of exclusive rights to market ultra-fast broadband services on City Fibre’s fibre-to-the-premises (FTTP). The seven cities announced so far are: Birmingham, Bristol, Cardiff, Glasgow, Liverpool, London and Manchester. Vodafone says it plans to roll out Innovation Hubs in other cities too. Paul Dennett, City Mayor of Salford, called MediaCityUK “an emerging smart city”. He said Vodafone’s input would set Salford up as an example of what new networks and interconnectivity can deliver for a city and its citizens. He highlighted potential in areas including transport, energy and health. Related: What is Gigabit LTE? The Innovation Hub will offer the opportunity for entrepreneurs to develop, test and commercialise their products. Jon Corner, Chief Digital Officer for City of Salford and CEO at The Landing, said the Innovation Hub will turn the venue into a ‘living lab’. He said it will help to demonstrate that 5G is about more than just new handsets and faster speeds, noting that it will also have an impact on how networks are organised, and the way we share data and consume content. 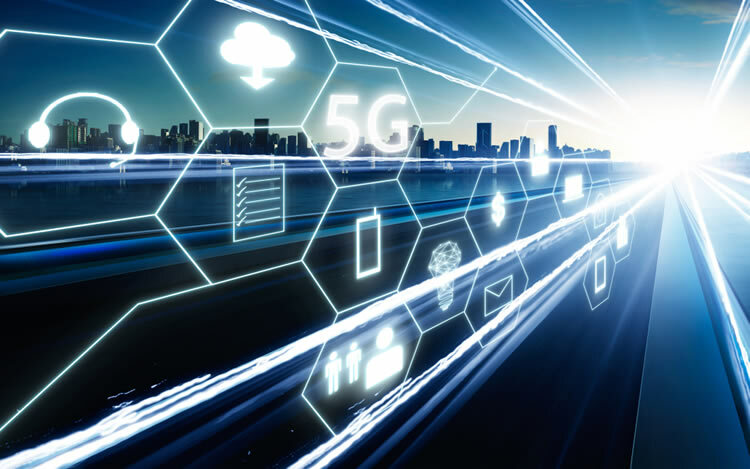 Further, Corner said, 5G will enable businesses – such as the ones based at The Landing – to use immersive technologies and artificial intelligence (AI) to create completely new applications that change the way we interact on a day-to-day basis. This entry was posted in 5G and tagged 5G, AI, Gigabit LTE, MediaCityUK, The Landing, vodafone on October 1, 2018 by Tim Cosgrove. UK company FiveAI has been given the go-ahead to deploy data-gathering cars on London’s streets to pave the way for a potential driverless car service. 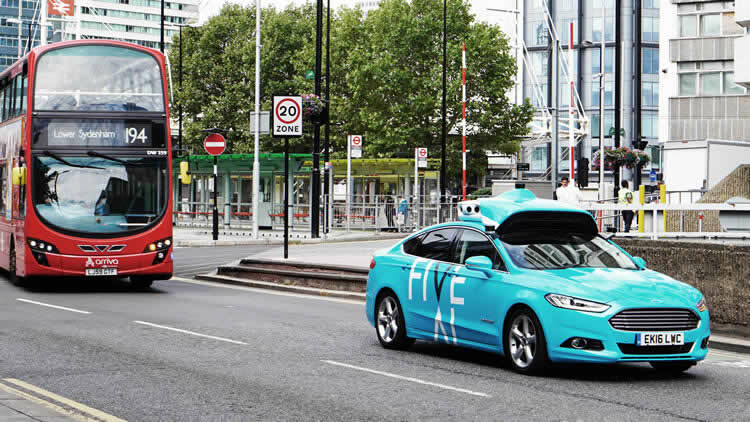 FiveAI plans to spend the next 10 months deploying five cars (with drivers on board) in Bromley and Croydon to collect data on roads, including layout, topology and traffic flow, as well as road user behaviour. The data collected will be processed in line with General Data Protection Regulations (GDPR) and used to feed into the development of FiveAI’s planned services. FiveAI notes that all its data collection vehicles will be clearly branded and feature an “obvious array” of sensors to ensure transparency. The shared service the company is working on will target commuters who drive at least part of their journey. FiveAI hopes to run a supervised trial of autonomous vehicles in London in 2019. FiveAI co-founder Ben Peters says that autonomous vehicles will be much safer than human-driven cars and the data-gathering exercise is a crucial stage towards getting them onto the roads. Some say that autonomous cars will only be a reality when we have 5G. Elsewhere, alongside data-gathering initiatives such as FiveAI’s, trials are ongoing to ensure that 5G connectivity will be in place to support driverless cars in the future. For example, at Millbrook Proving Ground in Bedford, as part of the AutoAir project, led by Airspan Networks, advanced 5G test networks are being deployed to validate connected and autonomous vehicle (CAV) technologies. The researchers are focused on areas such as complicated cell-tower hand-offs and issues related to bandwidth. They are also looking at how the work they are doing on 5G connectivity could be transferred to road and rail systems. Meanwhile, government mapping agency, Ordnance Survey (OS), is leading an initiative to help better understand the infrastructure needed to support a nationwide network of CAVs. The E-CAVE project will run for four years and will focus on the geospatial aspects of how CAVs exchange safety-related messages between themselves and the supporting environment. OS is also working with the 5G Innovation Centre and the Met Office on a digital twinning tool to help determine the best places to put radio antennae to underpin a 5G network. This entry was posted in Autonomous Vehicles and tagged 5G, AI, autonomous, autonomous vehicles, CAV technologies on August 14, 2018 by Tim Cosgrove. “The next three or four years will be decisive,” says Chief Digital Officer at Volkswagen Johann Jungwirth on the reinvention of the car. At the CeBIT Global Conferences, he explained what VW is working on and what role artificial intelligence will play for the car of tomorrow. Let’s start with what Jungwirth did NOT speak about at the Sakura Stage in Hall 8: alternative engines. That was it really. Instead, the Volkswagen CDO showed, in fast-forward, how the corporation is digitizing its core business. The key term here was artificial intelligence. “AI is everywhere and it will take on a central role in the car of the future,” states Jungwirth. No one expects it to replace humans, but to complement us where it can – in the dashboard, for example. “Today you have to push seven or eight buttons before you find what you’re looking for on the in-car entertainment system. We want to reduce that number to one – if not zero.” With this, he means to say that our voices and gestures will come to control far more than just the sat nav. The car recognizes its driver’s expressions, mood, and destination. By monitoring location data and road behavior, the user experience adapts to each specific situation. “The engine used to represent the heart of a car, but the autonomous driving system will soon take over.” AI is of course central here as well. The self-driving car is expected to make transport safer, preventing over a million traffic-related deaths a year. It should make parking easier, too. According to Jungwirth, we waste a third of our time in cars looking for parking spots. The autonomous vehicle would solve this problem by dropping the passenger off at their front door before finding a place to park by itself. It could then be summoned back at the touch of a button. And discussions on parking didn’t end there. Huge car parks have long been required in highly-developed cities. But Jungwirth claims that in a couple of years only a seventh of these will be necessary. This is because fewer people will be buying cars, with the preference shifting towards using them only on demand. “For 96 percent of the time, cars just sit there,” states Jungwirth. An autonomous shared vehicle would be almost permanently in motion, dropping one passenger off and immediately locating the next – like a self-driving taxi. VW is the first company to develop this kind of mobility concept – which it has given the working title “Sedric” (self-driving car). Will it remain just a concept? Yes, most likely. But a whole host of Sedric-inspired ideas will undoubtedly become reality – perhaps even in the next three to four years. Find out more about Sedric and the CeBIT Global Conferences . This entry was posted in Autonomous Vehicles and tagged AI, Artificial Inteligence, CeBit 2017, Johann Jungwirth, self driving cars, Volkswagen AI on March 24, 2017 by Tim Cosgrove. FiveAI, an AI software startup targeting autonomous vehicles, has raised £2.06 million in funding in a round led by Amadeus Capital Partners with participation from Spring Partners and Notion Capital. The company is aiming to utilise the latest in computer vision and AI/machine learning to ensure self-driving cars comprehend and navigate their immediate environment. FiveAI plans to reach simulator and supervised road testing before raising a larger amount of funds. The startup will then begin working with vehicle OEMs to develop production-ready software. 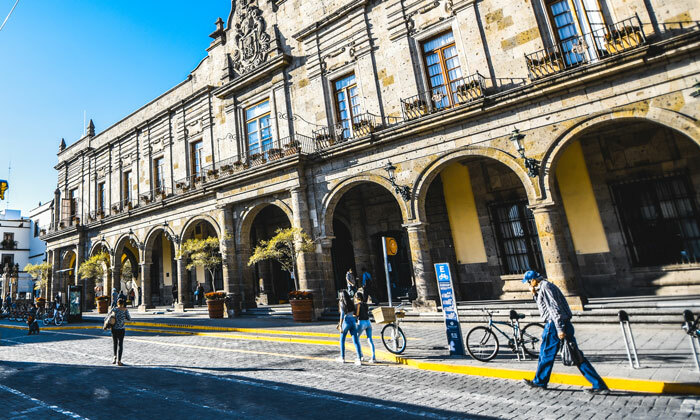 The funding will be used to improve its autonomous vehicle software stack and grow its team of AI/machine learning and other software engineers. FiveAI wants to use AI/machine learning and computer vision to eliminate the requirement for highly detailed “prior 3D mapping” of environments. The startup’s software stack, used along with a range of onboard sensors/cameras aims to allow autonomous vehicles to safely and accurately navigate even complex urban environments with much simpler maps. This entry was posted in Autonomous Vehicles and tagged AI, autonomous vehicles, Connected Cars, driveless cars, FiveAI, Hermann Hauser, Norton Capital on July 22, 2016 by Tim Cosgrove.